Samsung have put more into it - and you’ll get more out of it. As easy to make as the jokes the line invites are, size does matter when it comes to smartphones. A phone too large for your hands isn’t going to be uncomfortable to use. There’s also the matter of screen space. Having a bigger screen usually means that you’ll have a better time when it comes to watching video content and browsing the web. Finally, and for better or worse, there’s the reality that most major smartphone brands tend to privilege the larger-sized version of their flagship over the smaller one. The reason for this is obvious. Larger phones have more room inside them for bigger and better components. Sometimes that means a better camera or battery. Other times it means wholesale new features like 3D Face Unlock or a headphone jack. When it comes to the differences between this year’s Samsung Galaxy S10 and S10+, we’re talking about the former more than the latter. The S10+ upgrades the selfie cam from single to dual-lens. It also squeezes in a larger battery, more RAM and up to 1TB of on-board storage. Still, these improvements aside, the experience you’re getting here is incredibly close to that of the regular S10. However, that’s not say it isn’t better. 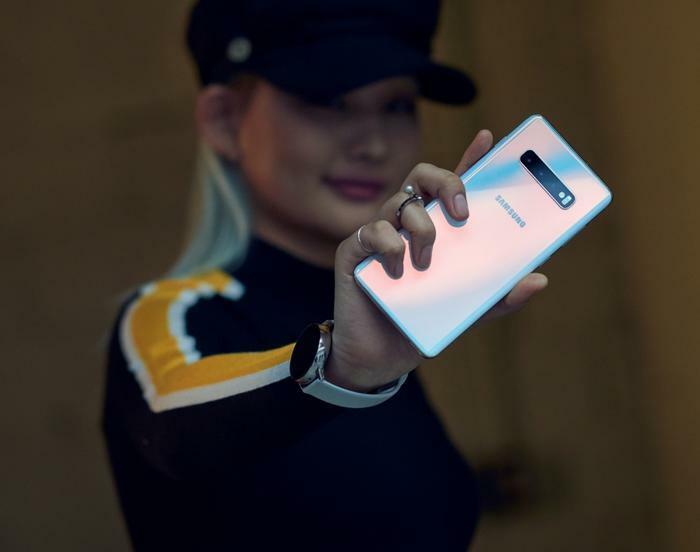 Where the Galaxy S10’s foibles and shortcomings are exacerbated by its lesser specs, the Galaxy S10+ is able to lean on better hardware and emerge the superior smartphone. Samsung have put more into it - and you’ll get more out of it. Front-Facing Camera: 10-megapixel (f/1.9) lens + 8-megapixel (f/2.2) lens. Colors: Ceramic Black and Ceramic White. 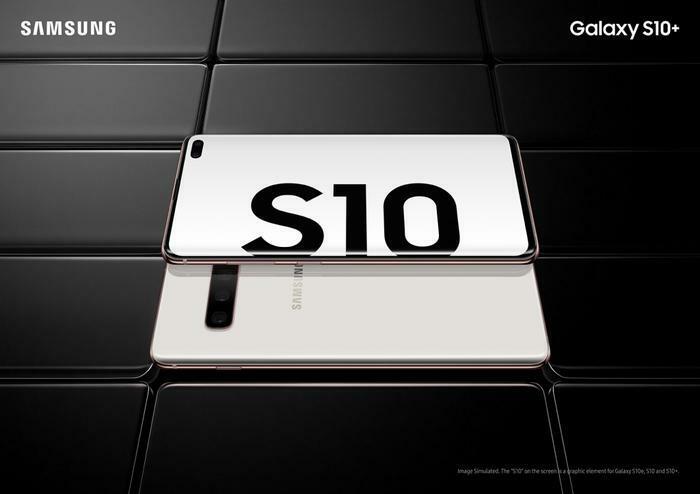 Again, the Samsung Galaxy S10+ has more in common with the regular S10 than it does apart. And like the S10, the look and feel of the S10+ is best summed up as pristine. The dynamic AMOLED HDR+ screen on this thing is as good as it gets. Of course, the premium perks that you get with the S10+ go well beyond mere looks. There’s IP68 water resistance, a headphone jack, a MicroSD fast wireless charging, USB-C fast-charging, dual Dolby speakers and more. The Bixby button endures, though it can now be remapped to the Google Assistant. There’s also now a notch - or, in the case of the Galaxy S10+, a hole. My experiences with the S10 really helped me sympathize with the legions of notch-haters that have popped up since the iPhone X popularised the design choice and jumping from that to the S10+ only doubled my conviction on the matter. Fundamentally, this feels like a trade-off that isn’t worth it and a half-step on the way to a true all-screen smartphone experience. I honestly would have preferred the shoulder-notch found on the Galaxy Fold. There’s no 3D Face Unlock here and the extra screen space rarely feels worth the irregular dimensions you're left with. It does give the S10+ a very different look to other premium Android smartphones - but that's about it. Still, at least there’s the new in-display fingerprint sensor to celebrate. It’s super convenient to set up and use and I found there was no real noticeable difference between it and the sensor on the regular S10. That said, the location of the sensor does remain a weakness and it does feel just that little bit slower than the in-screen sensor in Huawei’s Mate 20 and P30 Pro. Finally, there's Samsung’s take on reverse wireless charging called PowerShare. 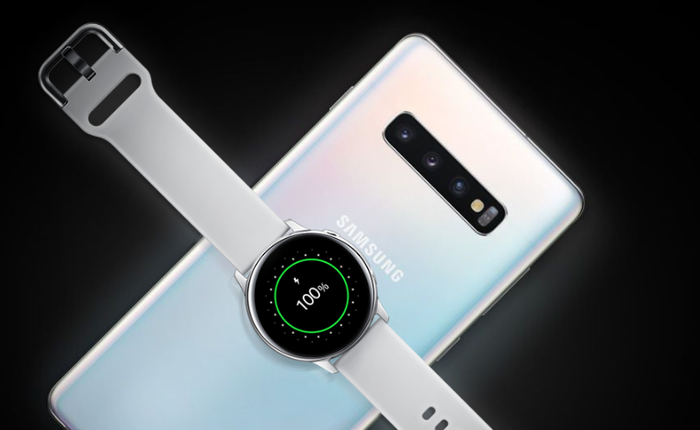 This allows you to not just charge other Qi-compatible smartphones but also recharge Samsung wearables like the new Galaxy Buds and the Galaxy Watch - which is a super neat perk you won't find in the Mate 20 or P30 Pro. I really like this feature and I hope Samsung continue to improve upon it in future iterations because the reality of it leaves a little to be desired. It charged about 10% of my Galaxy Watch’s battery in about ten minutes - which is a little slow. In addition, leaving PowerShare enabled over longer periods often also caused either my phone or Galaxy Watch to display a heat warning and stop charging - which made it hard to rely on. To reiterate, I do believe the phone-to-wearable use case for PowerShare is really compelling but the execution needs to be both improved and refined for it to really deliver on its full potential.